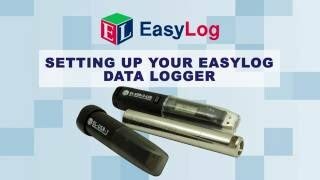 This USB data logger records over 250,000 temperature readings per channel in one or more sessions for up to 4 months. It has user-programmable audible alarm thresholds with highly visible confidence/alarm LEDs. Inside the rugged case, buttons for start, stop and restart and a graphic LCD with on-screen menus provide real-time analysis of data as a summary or as a graph. EL-WIN-USB enables quick configuration and data download via the USB port. Supplied with two thermistor probes and batteries, the EL-GFX-DTP is a popular part. PLEASE NOTE: You can add up to FOUR SPARE BATTERIES for every data logger ordered. If you wish to order more than this quantity, please contact your local sales office for special shipping information.